Greetings again from the darkness. The responsibility of the filmmaker when the project is “based on a true story” is elevated when the story has significant historical relevance and blends such elements as art, identity, justice and international law. Add to those the quest of a remarkable woman whose family was ripped apart by Nazi insurgents, and more than a history lesson, it becomes a poignant personal story. 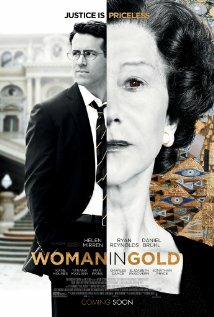 Helen Mirren portrays Maria Altmann, the woman who emigrated to the United States by fleeing her Austrian homeland during World War II, and leaving behind her beloved family and all possessions. After the death of her sister, Ms. Altmann becomes aware of the family artwork stolen by the Nazi’s during the invasion. This is not just any artwork, but multiple pieces from famed Austrian artist Gustav Klimt … including “Portrait of Adele Bloch-Bauer”. See, Adele was Maria’s aunt, and the stunning piece (with gold leaf accents) has become “the Mona Lisa of Austria”, while hanging for decades in the state gallery. The story revolves around Maria’s partnering with family friend and upstart attorney Randol Schoenberg (Ryan Reynolds) to take on the nation of Austria and reclaim the (extremely valuable) artwork that was seized illegally so many years ago. They are aided in their mission by an Austrian journalist (played by Daniel Bruhl) who is fighting his own demons. The seven-plus year legal saga is condensed for the big screen and we follow Maria and Randol as they meet with the Austrian art reclamation committee, a federal judge (played by the director’s wife Elizabeth McGovern), the U.S. Supreme Court (Jonathan Pryce as Chief Justice), and finally a mediation committee back in Austria. But this is not really a courtroom drama … it’s a personal quest for justice and search for identity. What role does family roots and history play in determining who we are today? It’s the age old question of past vs. present, only this is seen through the eyes of a woman who has survived what most of us can only imagine. Director Simon Curtis (My Week with Marilyn) uses startling flashbacks (with Tatiana Maslany as the younger Maria) to provide glimpses of Maria’s childhood through her marriage and subsequent escape. We get to know her family, including some scenes featuring Aunt Adele (Antje Traue), and Maria’s father and uncle (Henry Goodman, Allan Corduner). We understand this family’s place in society and just how dramatically they were impacted by the Nazi takeover. 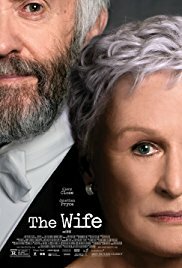 Helen Mirren delivers yet another exceptional performance and manages to pull off the snappy lines without an ounce of schmaltz, while also capturing the emotional turmoil Ms. Altmann endures. Director Curtis and writer Alexi Kaye Campbell round off some of the rough edges and inject enough humor to prevent this from being the gut-wrenching process it probably was in real life. This approach makes the film, the story and the characters more relatable for most movie goers … and it’s quite an enjoyable look at a fascinating woman and a pretty remarkable underdog story.